This handy pen allows you to draw circuits and attach small components to your projects. Non-toxic, Solvent free, Water soluble. A great prototyping tool for makers of all ages. Works great on many materials including paper / plastic / textiles / conventional electronics. Once applied the paint dries quickly at room temperature, and can be removed with soap and water. Store in a cool dry place. Use within 6 months of opening . 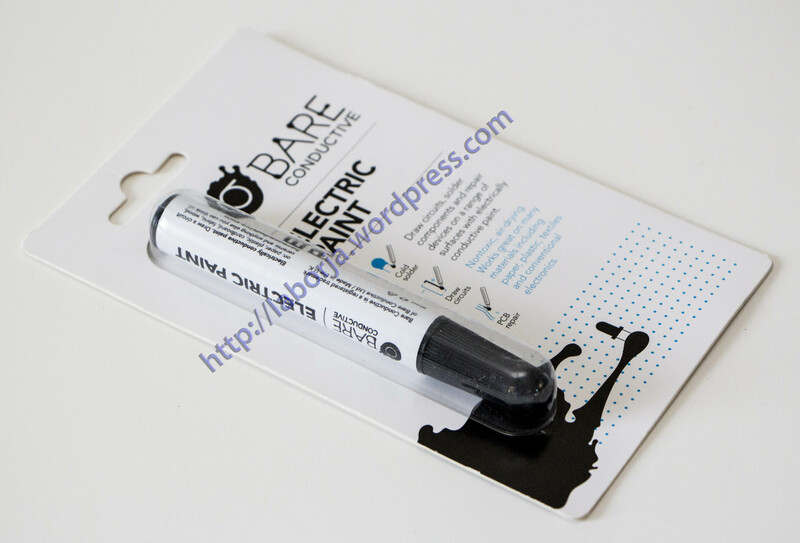 This product has not been tested with an eletrical source exceeding 12V DC: therefore use with higher voltages is not recommended. Use in accordance with the battery manufacturer’s instructions. Do not ingest. Children under the age of 12 must be supervised by an adult whilst using this product.